6/18/2010 1:17:10 PM MT EOE:: guess not. narrow range today. not much juice. 6/18/2010 12:47:54 PM MT EOE:: could the juice finally be coming? 6/18/2010 12:28:10 PM MT EOE:: mm's fault again. 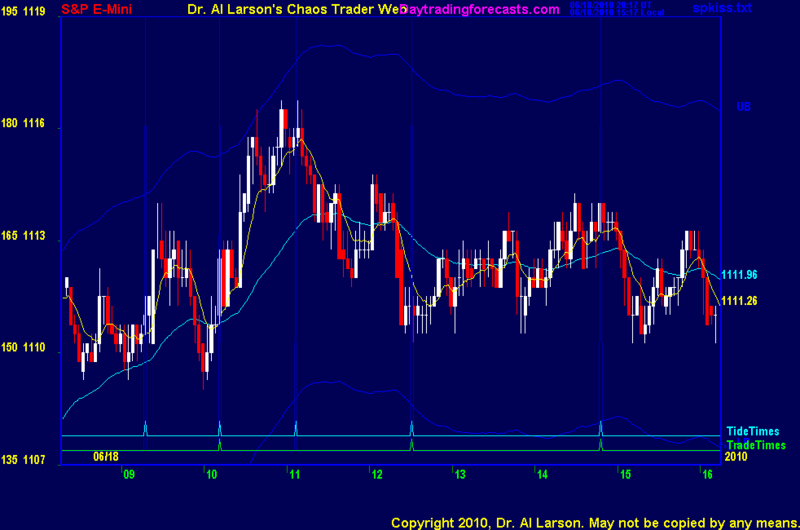 6/18/2010 12:27:53 PM MT MJ:: Dr. Larson, why is it that you choose to put your buy stop at 1115.25 and not somewhere like 1114? 6/18/2010 10:27:37 AM MT jab****:: Anyone there? 6/18/2010 9:39:48 AM MT mm****:: Why is the market dropping? The US just evened the score !!! 6/18/2010 8:08:24 AM MT WCA:: Buy at 1115? What rule called for that? 6/18/2010 7:42:32 AM MT TG****:: QUADRUPLE WITCHING DAY. 6/18/2010 7:05:29 AM MT EOE:: GM everyone. The sun is shining. its a beautiful morning. good luck.